This sun-drenched apartment is part of a farm estate. 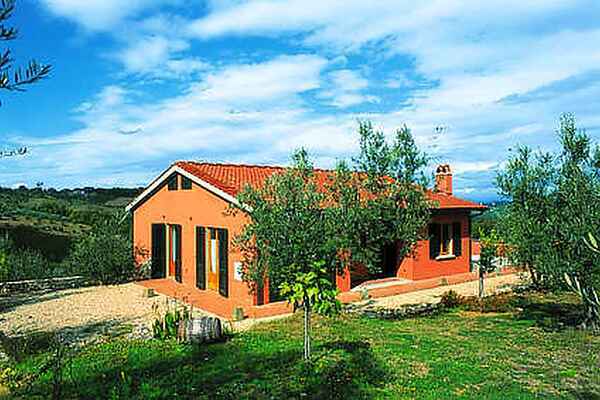 The owners grow vines and olive trees. The estate is located in a strategic position in the beautiful Chianti hills, making it the perfect base for visiting the most important art towns in Tuscany, such as Florence, Siena, Volterra, San Gimignano, Pisa, Certaldo, and many more. If you are looking for a quiet and peaceful place to kick back and relax in, there is no better place! No more chaotic traffic, just fields and hills on the horizon to let your imagination run wild. Once you have recharged your batteries why not go for a trip? This is the very heart of Chianti, just a stones throw from the beautiful town of Certaldo, the birthplace of the poet, Boccaccio, the splendid Monteriggioni and many other beautiful places! The owners family is composed of five people: the father who started the agriturismo, the stay-at-home mother, who is always busy caring for her husband and two sons.